Stock markets from Tokyo to London collapsed on Friday as Britons voted to leave the European Union and David Cameron announced plans to resign as prime minister. The British pound suffered its biggest plunge since 1985, while the euro saw its biggest fall ever. Panicked investors dumped risky assets that had built up ahead of the referendum, which many assumed would have the opposite effect. More than £100 billion was wiped off the FTSE 100 as the index plunged almost eight percent at the start of trade in London. It was the biggest market fall in UK history. The FTSE managed to pare losses during afternoon trading, trading over three percent lower by 13:20 GMT. Germany's DAX and the CAC 40 in Paris were down as much as eight percent. 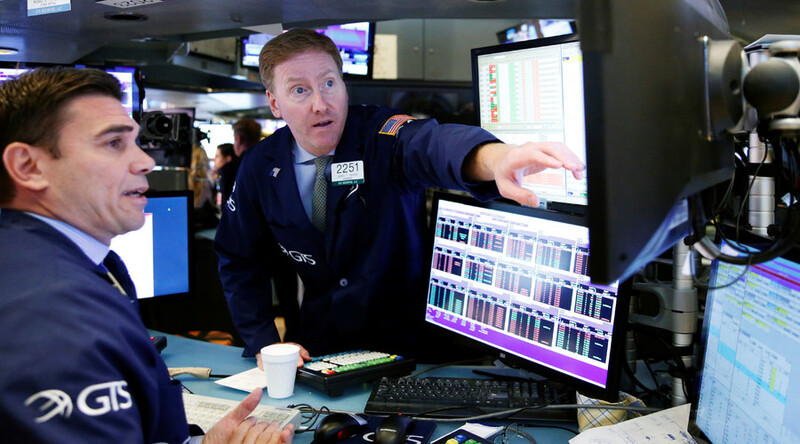 Wall Street opened lower on Friday with the Dow Jones Industrials and the S&P 500 down over two percent after the opening bell. Russian stock markets were also sliding during Friday trading. The ruble denominated MICEX index was down over two percent to 1867 points, and the dollar-traded RTS index plunged over four percent to 901 points, as of 4:00pm Moscow time. The carnage began in Asia after the Brexit vote with stocks dropping the most in five years. Japan's Nikkei index closed almost eight percent in the red. China's Shanghai composite was down over one percent and Hong Kong's Hang Seng lost almost three percent by the closing bell. “Investors are just trying to get out. You sell first and ask questions later. There was a massive miscalculation of risk and now you're seeing all that unwind,” head of investment strategy at Perpetual Ltd. in Sydney, Matthew Sherwood, told Bloomberg. The British pound plunged 10 percent, the most since 1985, the euro fell the furthest since its introduction in 1999, while the Japanese yen had its biggest surge since 1998. Traders say currency moves are more extreme than during the 2008 financial crisis. "Never seen anything like it. These are once-in-a-lifetime moves, bigger than Lehmans and Black Wednesday, and we haven't even had the result yet," Joe Rundle, head of trading at ETX Capital was cited as saying by BBC. "We're waiting for the big money to crank into action over the coming days and even weeks, which will likely exert further downward pressure on sterling," he added. Oil fell below $48 per barrel. Gold soared along with US Treasuries as panicked investors sought safe haven from the markets. Price of the precious metal, a traditional refuge from volatile stocks, jumped almost five percent to over $1,300 per ounce. An appetite for riskier assets on the market has built up as polls suggested that the chance of Britain's exit from the EU was unlikely. Oddsmakers had put the chances of Brexit at one in four. Global central banks, government officials and financial experts had warned that Brexit would lead to market volatility.